Me : Hi HookedonTech, Didnt see you around for quite sometime ? HookedonTech : Hullo there ! Was away on a vacation from blogging ! Me : Wow ! What luck ! We, sitting in Blogistan can never imagine taking one months break..There is an additional tax on us, if we dont blog while on vacation :-( But you guys at the NewBlogWorld have it so much easier ! Mr.X : Hi ! Thanks for the compliments ! Yes, my offshore team does a great job ! HookedonTech : Mr.X, I believe you have now got branches in ReformedBlogworld as well ? Does this sound too weird to you..Think twice, this may not happen exactly but flavours of this will surely ! If you would like to see, hear, learn and contribute to the growth of blogging, then join the BlogCamp at Pune, India on 16th June 2007 . This is an unconference modelled after the famous Barcamp - open participatory events ( read more here ). Read more about it here and register yourself as a participant here, if you wish to. Note : HookedonTech and Mr.X are both fictious..I personally do not know any blogger with such identities. However, if you have this identity, please understand that this is purely a coincidence and not intentional. Still, if you would like me to replace it, then send me an email ! 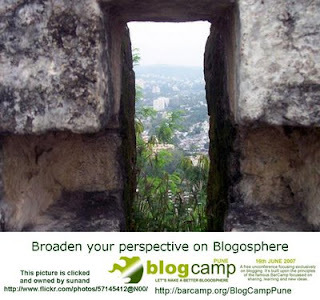 Looking forward to meet you at the Blogcamp Pune. Sia... thanks for waking me up..actually i am torn between a number of things happening right now, work, a husband who is back from a trip after 2 months, a 2 year old and another blog...so there you are ! well, am contemplating merging the two blogs...what do you think ? 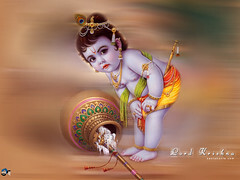 Hey sia..my other blog is at http://www.santhi.wordpress.com..Its a food blog..